Eco’nergy is the recovery system of hydraulic energy patented by the french Manu Lorraine. Advantages? Significant and appreciable on hydraulic excavators of different sizes. Hydraulic excavators rank among the main protagonists in the hydraulic efficiency recovery in earth handling machines. The reasons are simple: they are the most diffused. And they are the most popular because they are particularly multipurpose. Quality that has risen the development of hydraulic plants to absolute excellence levels in comparison with other earth handling machines. This is due to their use as equipment-holder even before as “simple” excavation means. For a long time now, manufacturers have been constantly focused on the fuel saving with solutions that have progressively refined. 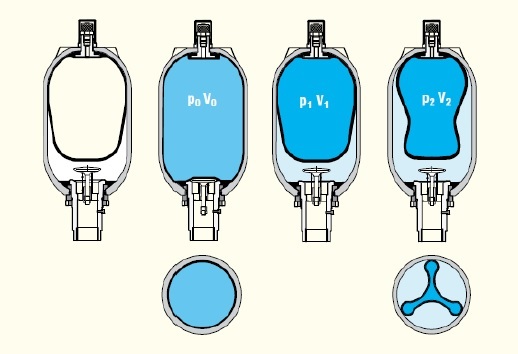 Care of the motor-pump coupling efficiency, recirculation of hydraulic oil flows between one cylinder and the other bypassing part of the plant, electronic management that operates on flow rates and pressures of pumps irrespective of the motor’s revolution number, pre-set operational modalities to improve operation. Machines that, today, can be fundamentally defined mature while their development is following often-diverging roads, depending on the manufacturer. Some of them propose hybrid diesel-electric models. Others propose instead machines with distributors able to store hydraulic energy and to redistribute it towards other functions without passing through pumps. Solutions that are not resolutive for various reasons. In some cases, as in the diesel-electric hybrid, there are evident performance drops in some applications. 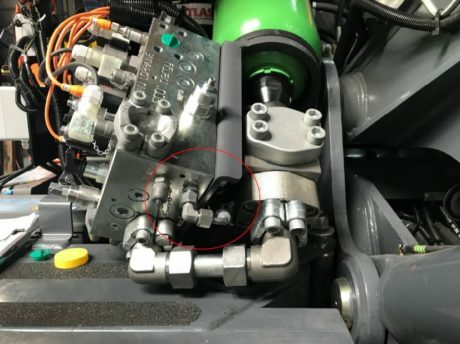 Where the recovery occurs in fully-hydraulic way, there is a complexity of components that implies not negligible manufacturing, and afterwards managerial, difficulties. 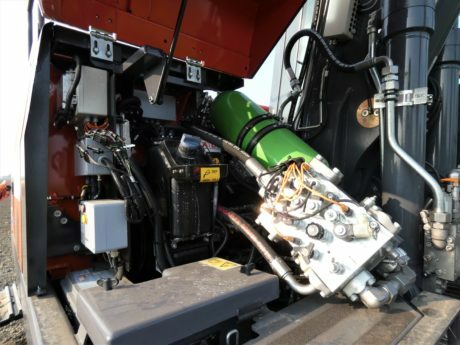 This hydraulic complexity often annuls its advantages in comparison with competitors of the same class where they have well worked at the mechanical efficiency. In both cases, the choice of machines with these solutions is restricted to one, maximum two models, inside a broad range of conventional means. The accumulator of the ECO’nergy system is positioned under the standard hoods of the machine and it preserves the external look. 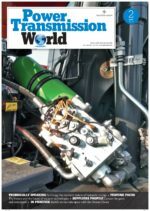 Moreover, it is not granted that these solutions assure lower production costs than conventional well-conceived machines, where electronic management and motor/pump mechanical efficiency have been properly designed. The hydraulic energy recovery is certainly the best way worth following because excavators spend most of their resources in the idle handling of the arm and in the turret rotation. Starting from this principle, the French Manu Lorraine Group has developed and patented a system that can be applied to any hydraulic excavator that exploits the gravitational energy to which the arm is subjected. 70% of the hydraulic energy is used just to lift the arm whereas the remaining 30% is actually exploited to handle the load in the bucket. This implies a strong consumption when you lift the arm and a high loss of energy, with relative heat generation when you lower it. If the arm was in constant balance, we would have higher overall efficiency, with the possibility, for the hydraulic plant, of optimizing oil flows. How should we proceed, then, to balance the system? The principle is actually very simple and it exploits the force of gravity. Acting on one of the two lifting cylinders, ECO’nergy system balances the arm through nitrogen accumulators. The system can be operated or deactivated by the operator with a pushbutton. Once started up, the system comes under pressure and, when the arm is lowered, the resulting energy is stored. Accumulators are directly connected with the hydraulic plant of the excavator by the power supply of the lifting cylinder. In this way, the stored energy is returned to the plant, increasing speed, optimizing circulating flows and reducing the motor work. In earth handling machines, the use of oil and nitrogen in pair started in the late Eighties. The dampening of the oscillations of wheel loaders’ arm during displacements was, and still is, obtained with an oil/nitrogen compensator that goes into action above certain speeds. Initially proposed only on big wheel loaders, now it is actually available on any machine size. ECO’nergy exploits the same principle but instead of dampening the arm, it exploits its kinetic energy to transform it into hydraulic energy. The accumulator is composed by a forged steel body homologated for the work pressures of the hydraulic plant. Inside it, there is room for an air space, an inflation valve and a connection port. This port is equipped with a valve that avoids the extrusion of the air space and with a bleeding screw of the air used during the hydraulic pressurization of the circuit. The constant monitoring of the work pressure of the cylinder connected with the system (in red) is one of the parameters that the system management uses for its correct operation. The pressurized nitrogen is contained in the air space. The pressurized fluid is introduced into the accumulator and it compresses the gas in the air space. The gas, in its turn, returns the back pressure to the hydraulic plant according to contingent requirements. 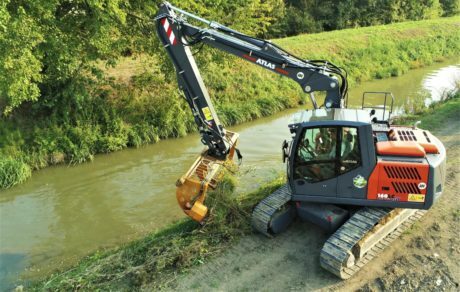 Back pressure that then acts not only on the lifting but also on all machine motions, thus balancing the overall behaviour of the excavator. Advantages are manifold and are exerted on the whole machine. The accumulator allows storing immediately a reserve of hydraulic oil and the consequent energy can be promptly used. The energy deriving from the arm descent is immediately absorbed by the accumulator and given back to a hydraulic receiver to supply other motions. The system also performs a shock absorption function. The accumulator, due to its damping function, reduces in fact the fatigue of hydraulic and mechanical components. ECO’nergy can be activated or deactivated, as desired, permitting, under determinate operational conditions, to use the excavator in conventional modality. The system simplicity allows the sizing and the installation on excavators of different categories, with fuel savings that reach about 15% in comparison with the operation in conventional modality. Summing this saving to an approximate 10% productivity rise, the return of the investment made for ECO’nergy is accomplished in a variable lapse of time from 12 to 18 months of activity, depending on the use coefficient of the machine. One of the first applications of ECO’nergy in Italy is on Atlas 160 LC excavator used by “Consorzio di Bonifica Renana” that operates astride Bologna and Ferrara. It is an excavator with operational weight of 18 tons and, then, widely outside the range of hybrid machines of various kinds proposed by some manufacturers. Operating with a triple-joint arm in long configuration and with mowing bucket, it carries out a constant work of bank maintenance, where lifting is a particularly energy-eating function. 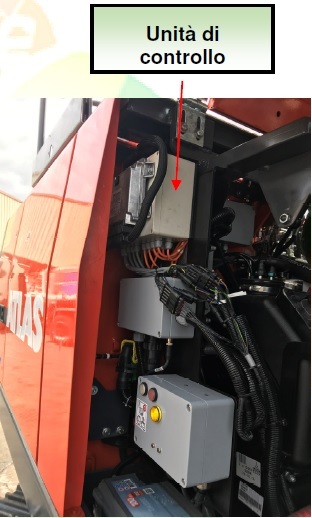 The electronic control unit is installed in a protected place under the excavator’s bonnets. The sizing of the accumulator for this excavator implies a volume of 20 litres. The content of V0 nitrogen amounts to 17.8 litres. The maximum capacity of this type of accumulator is 0.5 x 17.8 = 8.9 litres of hydraulic oil. In this case, with the 160LC machine, the volume of the inferior side of a lifting cylinder is 6.7 litres of oil and then the accumulator’s reserve has slightly more than 25% of additional margin in oil volume returned, implying a very high efficiency. The system, once started, reaches the balance after the first lifting cycIe. Only after performing a cycle, in fact, it is possible to register the actual weight of the arm and then to permit a complete pressurization. Work pressures in the accumulator range from 220 bars to 400 bars. From an operational point of view, ECO’nergy allows executing lifting motions efficiently, providing higher power at the start and saving fuel. During an excavation movement when the arm is lifted, a part of the flow the machine pump does not send towards the cylinders of the arm (because these flows are provided by the system) is available for the other motions (bucket, forearm, triple joint and mowing bucket). Therefore, the machine is more agile and faster. Due to the same principle, when the arm is lifted with a full bucket, an additional flow is available for the excavator’s rotation motion. All motions are faster but, thanks to the dampening features of the accumulator, they are also smoother. The accumulator operation occurs through a constant balance of pressures and back pressures among lifting cylinder, inner chamber and hydraulic plant. Using Atlas 160 LC with the ECO’nergy system, you have the sensation that the machine slows down. This is due to two reasons: the descent speed is slightly slower and the motor is less noisy during the lifting. The arm descent is slightly slower because accumulators oppose a slight resistance to the descent of the piston connected with the system. However, it is necessary to assess the machine in its whole because the number of hourly cycles is actually higher as the arm weight is supported by the accumulator and there is more lifting power than in the conventional machine. Operating with the automatic adjustment of the motor speed, you work at a lower number of revolutions with fewer consumptions, minor pollution and less noise. If you instead work by adjusting the speed directly, you must lower the number of revolutions by operating in the maximum torque interval. In fact, the additional power of the pump is correlated to the motor speed. Efficiency in terms of consumption is higher at lower speeds as, with the system activated, it is not necessary the pump work at its utmost capacity. Therefore, the power in excess is not exploited but it is just used to generate pressure losses in the hydraulic plant. “Consorzio di Bonifica Renana” has purposely used Atlas 160 LC both in only conventional modality and with the ECO’nergy system activated. The productive benefit, with unchanged operational conditions, has been estimated by 15% of lower consumptions with the same bank surface cleaned. Moreover, the compactness of the accumulator has allowed achieving a machine that, externally, does not absolutely differ from the standard model, with the exception of the writings on bonnets.